We finally have dates for the first Haggen store openings in Kitsap County. The Silverdale Albertsons and Port Orchard Safeway will be the first to make the transition, reopening under the Haggen banner on March 7. According to a news release, the two stores will close temporarily beginning on the evening of March 5, in preparation for the change (pharmacies will remain open). Both stores are tentatively scheduled to reopen as Haggens at 4 p.m. March 7. The two stores were among 146 Albertsons and Safeway locations acquired by Bellingham-based Haggen. The acquisition was part of a divestiture required for a recently-approved merger of Albertsons and Safeway. Haggen is also taking ownership of the East Bremerton Albertsons and Gig Harbor Safeway. (See a map of acquired stores here). The East Bremerton Albertsons isn’t scheduled for a rebrand until early June. The Gig Harbor Safeway will close March 8 and reopen as a Haggen March 10. 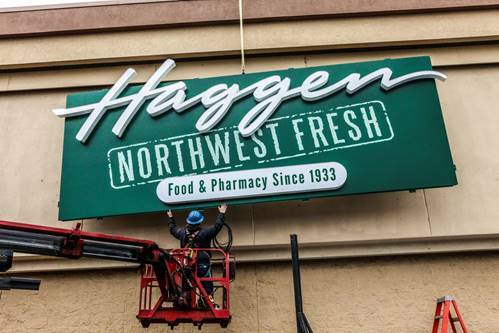 Haggen will hold a community meeting from 5-6 p.m. March 19 at the Port Orchard Pavilion, 701 SW Bay Street. According to the news release, the meeting is aimed at giving farmers, food producers, nonprofit leaders and residents a chance to talk to company representatives. Haggen plans to select five area nonprofits to donate to in conjunction with each store opening. The company will donate $1,000 to a single organization on the first day the store opens, and 2 percent of sales to four additional organizations for four consecutive Saturdays. You can read my Q&A on the Haggen acquisition here, and feel free to keep throwing questions at me in the comment section. Port of Bremerton commissioners approved lease extensions Tuesday night for SAFE Boats International, the port’s largest industrial tenant. Though the rough terms of the deal had been hammered out months ago, commissioners were clearly elated to have the agreement formalized. SAFE Boats employs nearly 200 workers in the port’s Olympic View Industrial Park. SAFE Boats CEO Dennis Morris (pictured above) thanked the port for crafting lease extensions that meets the company’s changing needs. “I think we’ve reached an agreement that will work for all of us,” Morris said. The extensions lock in SAFE Boats as a tenant through mid 2017. After that, the manufacturer has the option of signing one-year extensions for up to four successive years on any or all of the four properties it leases. The agreement requires a generous nine-month notice if SAFE Boats decides to not renew a lease. The variable terms of the lease extensions could help SAFE Boats scale up or down to meet fluctuating demand for its small military and law enforcement boats. “It does give us that flexibility in this dynamic business environment we find ourselves in,” Morris said. As I reported last week, the agreement also gives SAFE Boats a steep discount on rent, to the tune of about $200,000 a year, or 41 percent. SAFE Boats has leased space at the Port of Bremerton since 2000. 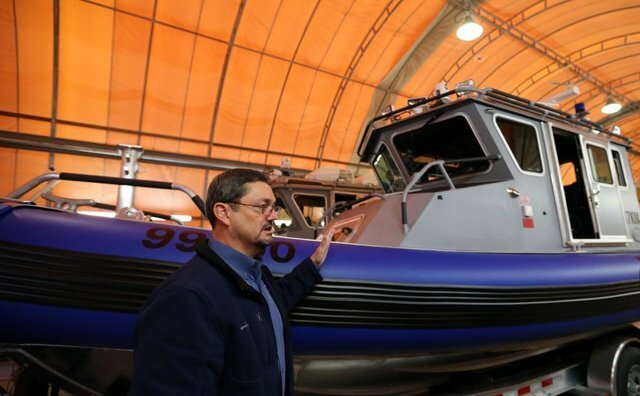 The company is manufacturing a line of larger patrol boats at a Port of Tacoma facility. The company had the option of relocating its entire operation to the Port of Tacoma, but finally opted to stay in Bremerton. 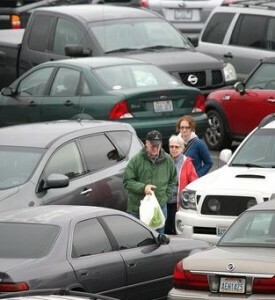 With SAFE Boats sticking around, the Port of Bremerton’s industrial buildings are are largely full. The port still has a large number of vacant industrial pads it needs to find tenants for. Commissioners may discuss a plan for creating spec buildings to attract more tenants at their next meeting. The public can find out more about a proposed Poulsbo assisted living community next week. An open house is scheduled for March 4 for a planned three-story, 65,000-square-foot assisted living facility at Sunset Street and Jensen Way, within the Poulsbo Place II master plan. The facility would include 6,000 square feet of commercial space facing Jensen, 40 under-building parking stalls and 52 surface level stalls. The assisted living facility has been planned for several years. Martha & Mary may operate the center, but no formal agreement is in place with the developers. The open house will be held from 5-7 p.m. March 4 at the Poulsbo Fire Station at 911 NE Liberty Road. The project applicant will give a presentation and answer questions. For information, contact the City of Poulsbo Planning Department at (360) 394-9882 or planninginfo@cityofpoulsbo.com. The full open house notice is posted below. Drivers will have two fewer fuel options along Highway 305 this spring. Brown Bear Car Wash of Seattle plans to shut down two Chevron stations on the highway in the next six weeks. Its location off Hostmark Street in Poulsbo on Feb. 26. The Chevron off Hildebrand Lane on Bainbridge Island will close March 31, according to Brown Bear regional manager Larae Giuseffi. Giuseffi declined to discuss the reason behind the closures. A call to Brown Bear’s corporate office was not returned Friday. Brown Bear also owns a gas station at Highway 305 and High School Road, across the street from its Hildebrand location. Giuseffi said the company will keep that station open. The closure of Brown Bear’s Hildebrand location will leave Bainbridge with two gas stations (a 76 station operates in Island Center). Fuel stations on the island and in Poulsbo compete with tribally-owned stations in Suquamish, which work under a different taxing agreement than private sellers and can generally offer cheaper prices. A Safeway store and gas station opened near Highway 305 and Lincoln Road last June, adding 10 pumps to the thoroughfare. Kitsap County’s real estate market picked up in January right where it left off in December. Sales activity was brisk. Inventory continued to scrape bottom. According to Northwest Multiple Listing Service, there were 225 closed sales reported in Kitsap in January, the same number as in January 2014. Pending sales, on the other hand, were up 16 percent from January 2014, promising a boost in closed sales early this year. Poulsbo tech company Velosys has launched a mapping service for land brokers marketing, large, high-value properties. 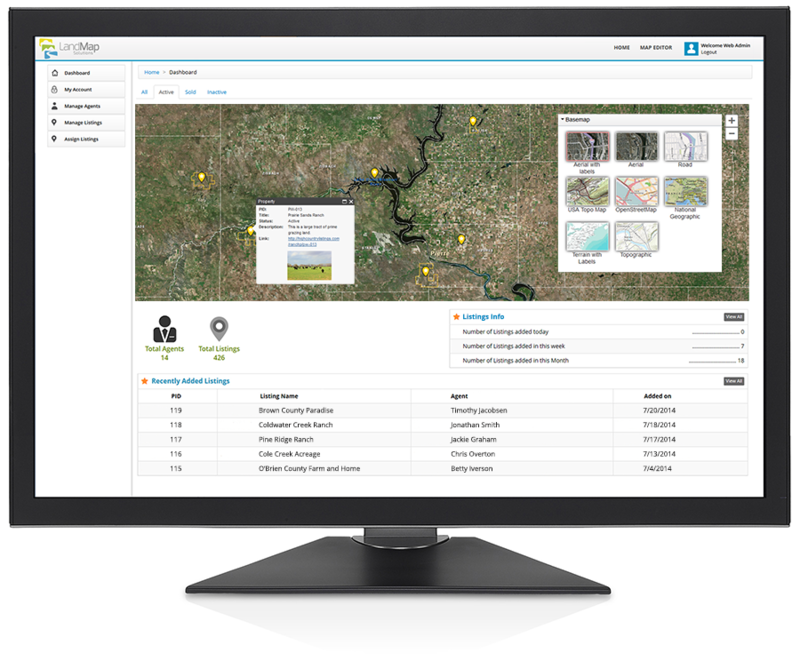 The service, called Land Map Solutions, helps brokers create detailed maps of properties. Maps can be edited show details like parcel boundaries, areas of crops and timber, trails and pipelines. The service is cloud based and maps can be embedded directly into brokerage websites. According to the release, the mapping service is the first of several technology releases planned from the firm’s emerging products division. Velosys is a tech consulting and software development firm with clients in the financial, energy and government sectors. The East Bremerton American Legion post, Poulsbo’s Courtesy Ford dealership, a historic Bainbridge house and several industrial properties were among the notable commercial real estate sales of January. Description: A 9,000-square-foot building on 0.7 acres off Sheridan Road, just east of Wheaton Way in Bremerton. 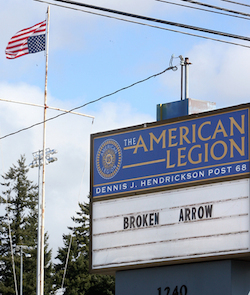 Notes: The future of the property has been uncertain since American Legion Post 68 went bankrupt in 2011. Josh Farley will be following up on the Filipino American Association’s plans. 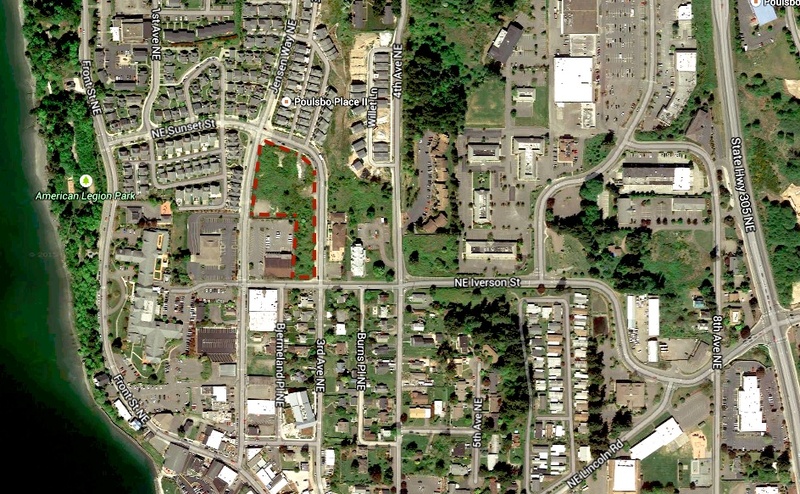 Description: Three parcels totaling 4 acres, and a 40,000-square-foot former auto showroom on Viking Way in Poulsbo. Notes: The family that owns American Building and Roofing on Viking Way bought the former Ford dealership from a court appointed receiver. 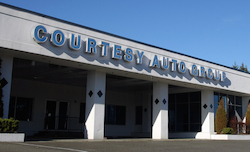 Hudson Auto is leasing a portion of the property to expand its Poulsbo used car dealership. The Hern family closed Courtesy Ford in 2011. We now have retail sales data for the first three quarters of 2014, and the numbers are looking good. Taxable sales across all industries were 7.5 percent higher during the third quarter of 2014 than during the same months of 2013, according to a report from the Department of Revenue. Retail trade sales (sales made by traditional stores, dealerships, online sellers, etc.) were up by 5.7 percent. This was the first quarter taxable sales for recreational marijuana were included in DOR’s report. Those totaled about $1.5 million in Kitsap for all of 2014. We’ll find out how retailers faired during the holiday season, and 2014 as a whole, when fourth quarter numbers are released this summer. An Albertsons store in Silverdale and a Safeway in Port Orchard are set to become Haggen stores in March. A Gig Harbor Safeway will also make the transition to Haggen next month. The East Bremerton Albertsons store won’t switch to the Haggen banner until June. The Bellingham-based grocery chain recently agreed to acquire 146 grocery stores as part of the divestment process required for the Albertsons and Safeway merger. Haggen released a tentative schedule for converting its 26 new Washington stores Wednesday. Changes at the stores will include signage and product lines. Major remodels are not planned. 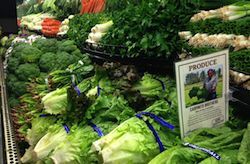 See my Q&A on the Haggen acquisition here.